Paris. PaRiS! Is there anything that hasn’t been said about Paris? 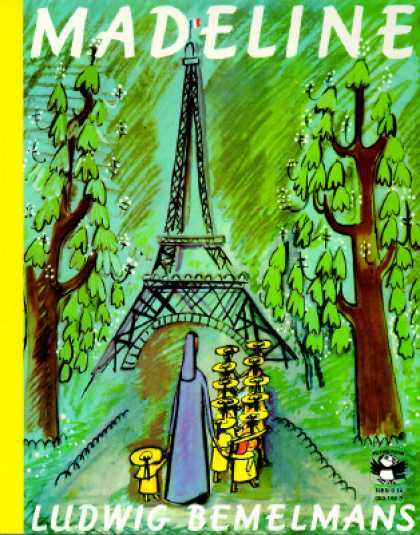 Even the lil’est kidlets have seen or read Madeline: “In an old house in Paris that was covered with vines, lived twelve little girls in two straight lines. 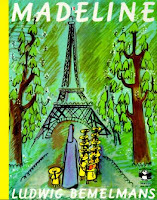 . . the smallest one was Madeline.” As I mentioned in a previous post, although they are busy, bustling cities, Paris and London are worth the extra bit of money, the crowds, and slight anxiety to enjoy their magnificence even with toddlers. Will you climb the steps to the top of the Arc de Triomphe, or to the top of the Notre Dame? Definitely take the elevator to the top (or middle – it’s cheaper and the view is just as stunning) of the Eiffel Tower. The glass elevator ride is probably more fun for the kids than the views are. After coming back down, let your youngsters stretch and run around a bit in the Champ de Mars Park that stretches over 35 city blocks behind the Tower. And when you come out of wondrous, capacious Notre Dame, if the kids are a little cranky just walk right around the side of the church to the back, where there is a charming little garden you can stroll or sit down in. I’m delighted every time I enter how suddenly quiet and peaceful the city becomes in that garden. And, there’s a little restroom in the garden that’s clean and never very crowded. • Read the Madeline series to your toddlers before you go. • Get the Paris Museum Pass. Even if your kids are too young to tolerate museums for very long, this pass not only gets you into over 60 museums and monuments, including the Palace of Versailles, but lets you bypass the lines! We all know what a bonus that is with any aged children! • The Museum Pass is not valid for the Eiffel Tower and, as of very recently, not valid for the climb to the top of the Notre Dame Cathedral Tower. If you want to avoid long lines here (or at least minimize them in the summer), visit first thing in the morning. • The Eiffel Tower has a terrific new on-line ticket service. BUT, if you’re going in the summer, these tickets sell out weeks in advance. • Instead of an open top bus tour of the city, how about taking a hop-on hop-off river boat shuttle service? Batobus boat service has passes for as many trips as you like during a specific period of time. They also partner with l’Open Tour tour bus service to do a combined ticket, offering you the opportunity to move between double-decker buses and boats on the Seine. These options are much more scenic and interesting for kids than the metro. • With crêpes and Nutella, gelato, and croissants on every corner, your kids will never be hungry or complain about the food. The French have the biggest jars of Nutella I've ever seen. 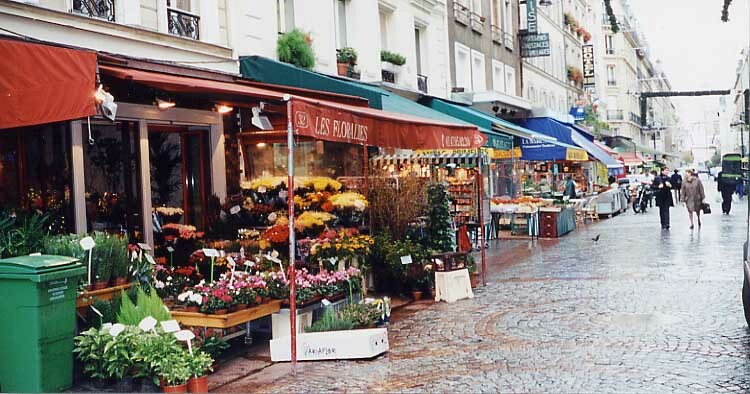 • Consider staying near rue Cler, a pedestrian-only street in the 7th arrondissement. The open markets here feature fresh produce, meat, cheese, and prepared foods that will save you from having to eat at restaurants three meals a day. 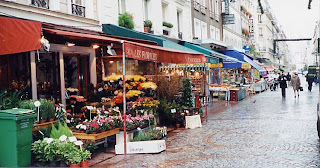 Rue Cler open market street. • Print out this splendid guide of WCs in Paris and take with you: http://www.slowtrav.com/france/paris/rl_restrooms.htm. Ohh... I've only been to Paris once and I really want to go back! I will be enlisting your help for travel next year... we know we want to go somewhere in Europe, but haven't narrowed down WHERE! Too many options!